June 13, 1948. 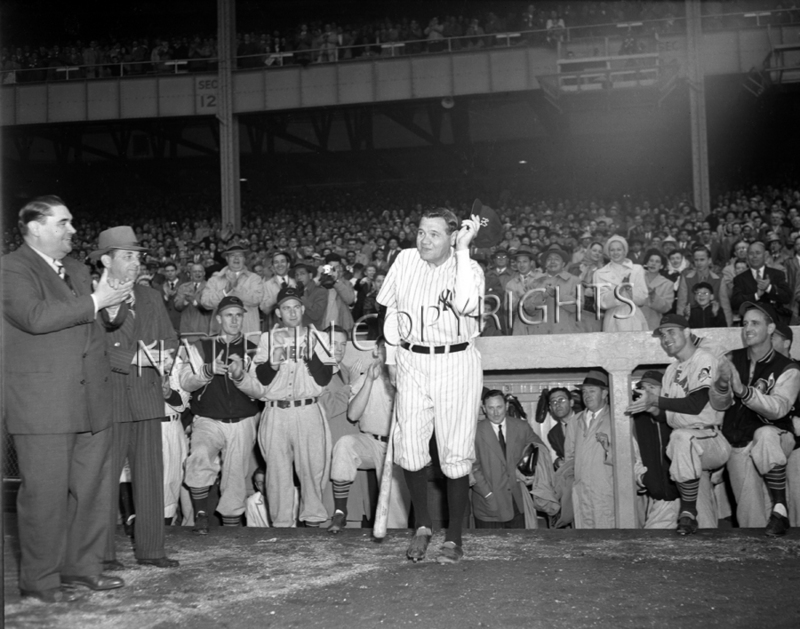 After an intensifying fifteen minute wait in the runway behind the dugout, the Babe emerges, borrowing Bob Feller's bat which Ruth used for support. He walked onto the field, electrifying the packed stadium which responded with a thunderous ovation. The roar of the crowd was said to be heard across the Harlem River in Manhattan.